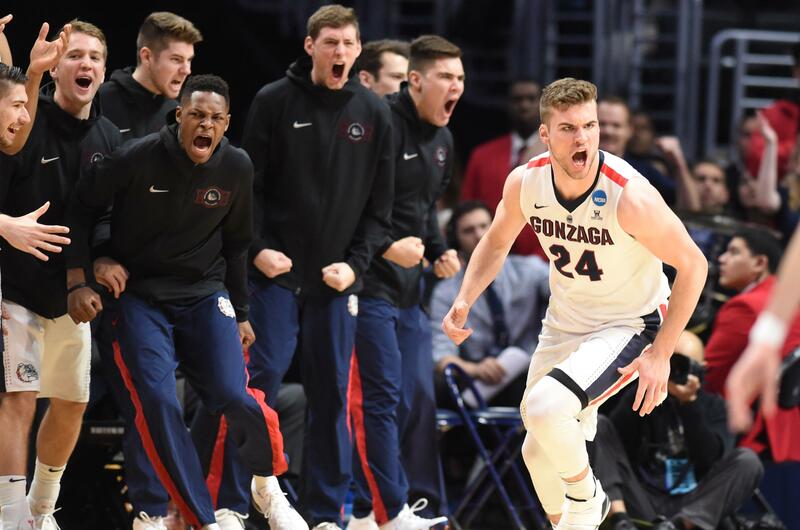 Sun., March 24, 2019, 9:02 p.m.
Gonzaga’s Sweet 16 rematch with Florida State will tip at 4:09 PT Thursday at the Honda Center in Anaheim. The CBS announce team will be Kevin Harland, Reggie Miller, Dan Bonner and Dana Jacobson. The top-seeded Zags (32-3) are favored by seven points over the fourth-seeded Seminoles (29-7), according to BetOnline. No. 9-seeded Florida State upset No. 4 Gonzaga 75-60 in last year’s Sweet 16 at the Staples Center in Los Angeles. Published: March 24, 2019, 9:02 p.m.